The north semaphores in Talheim are installed. Including covers. 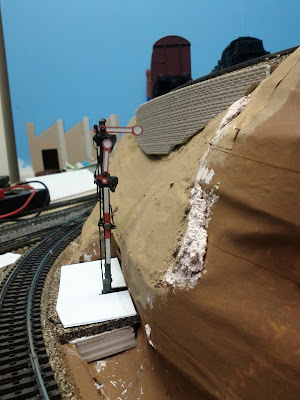 I used Polly Scale Aged Concrete for the base color of the cover, and will glue sand, ballast, and greenery on top. 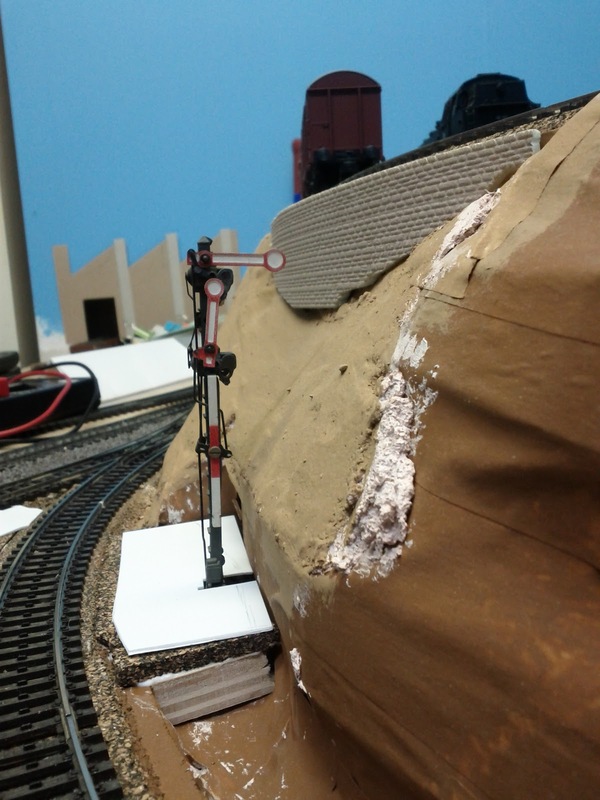 The idea is that the covers remain removable. This afternoon the semaphores at Abzw. Talheim got their covers cut, as well as their wiring for the light bulbs. 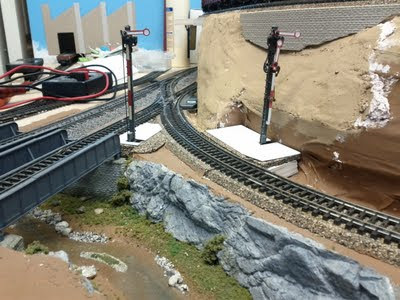 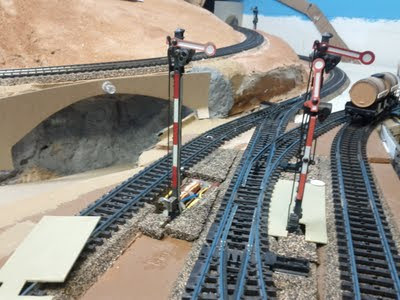 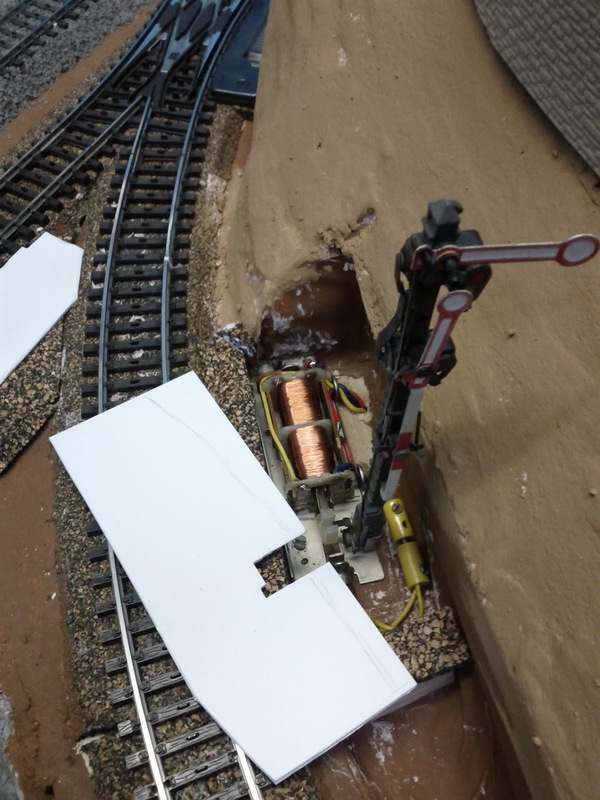 These semaphores were made for an analog Maerklin layout and the bulbs are wired to "light" and "ground", while the twincoils are powered from "light" to "ground". 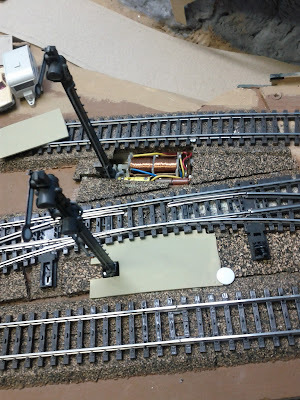 With DCC decoders I don't have a constant on power source on the outputs, so I disconnected the "light" wire of the bulb from the twin coil machine, and instead wired in a dedicated 16V AC power source connected to "ground" of the semaphore body. Conveniently, the twin coil machine is insulated from the semaphore base, so I can easily keep those circuits apart. 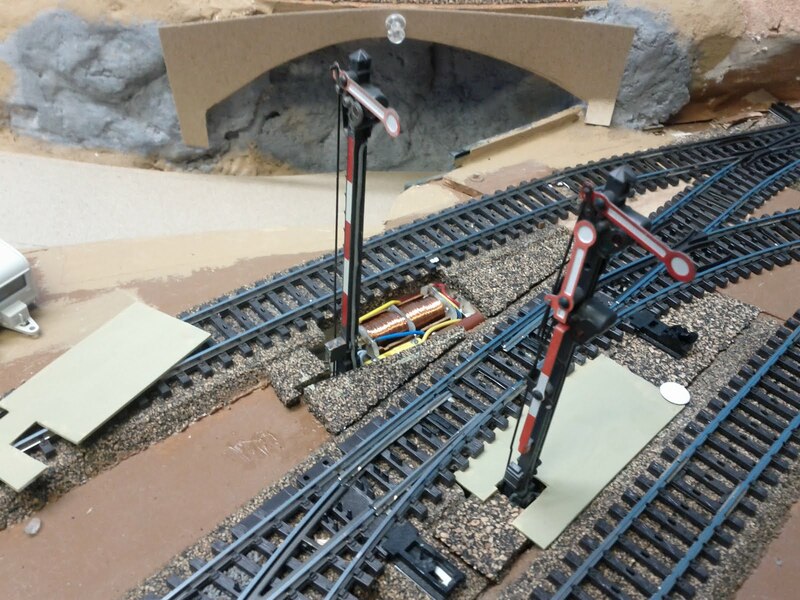 The extra wires for the light bulbs can be seen to the right of the semaphore.